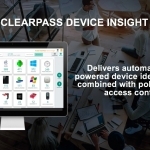 "We are evaluating Aruba’s ClearPass Device Insight to help us discover and fingerprint all connected devices on a large scale. 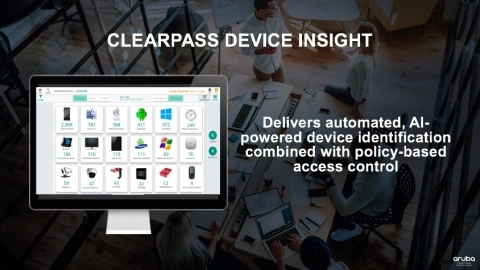 When integrated with ClearPass Policy Manager, we will have a powerful closed-loop policy enforcement solution down to each device." When addressing their IoT strategies, organizations globally are faced with new security and connectivity challenges. There are more than 14 million new connected devices being added to the network every day1. The explosion of these vastly different and unpredictable device types renders manual device profiling techniques inadequate and makes automation a key requirement for securing IoT. 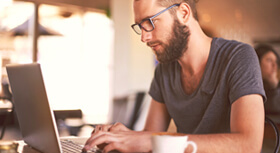 To add to the complexity, many IoT devices are often connected to disparate overlay networks that typically support only one type of connectivity, such as Wi-Fi, Bluetooth or Zigbee. 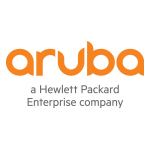 According to Gartner, “line of business, operational technology and building automation networks that were historically air-gapped are converging onto the enterprise infrastructure, adding more IoT devices and more attack opportunities2.” Aruba’s closed-loop approach eliminates blind spots and provides IT teams with an automated and intelligent security solution for visibility into this massive volume and variety of devices to the corporate network, often without IT oversight. Comprehensive details about each device, including manufacturer, device location, ports and protocols used, application destinations and traffic volume are all available on ClearPass’ single-pane-of-glass management platform for complete IoT visibility and control.